With your cursor on the first page of your document, go to Insert , select Header or Footer, and then pick a built-in layout and design , or select Edit Header or Edit Footer to create your own. Tip: Some built-in header and footer designs include page numbers. 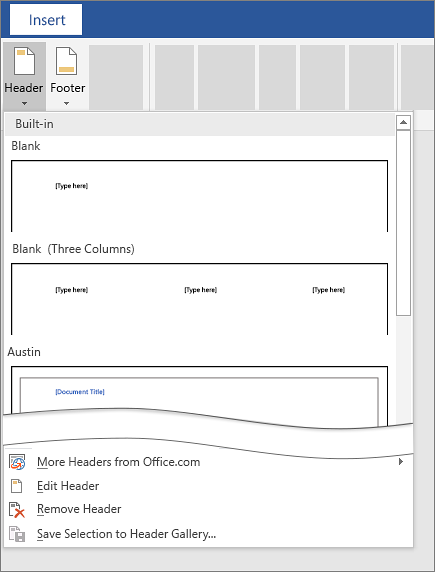 Whatever you want repeated on the pages of your document: add it in the header or footer area on the page. If you don't want the header or footer on the first page, select Different First Page.